Like the founding of the Foursquare denomination, the <?xml:namespace prefix = st1 ns = "urn:schemas-microsoft-com:office:smarttags" />Winterset Foursquare Gospel Church was founded out of revival. 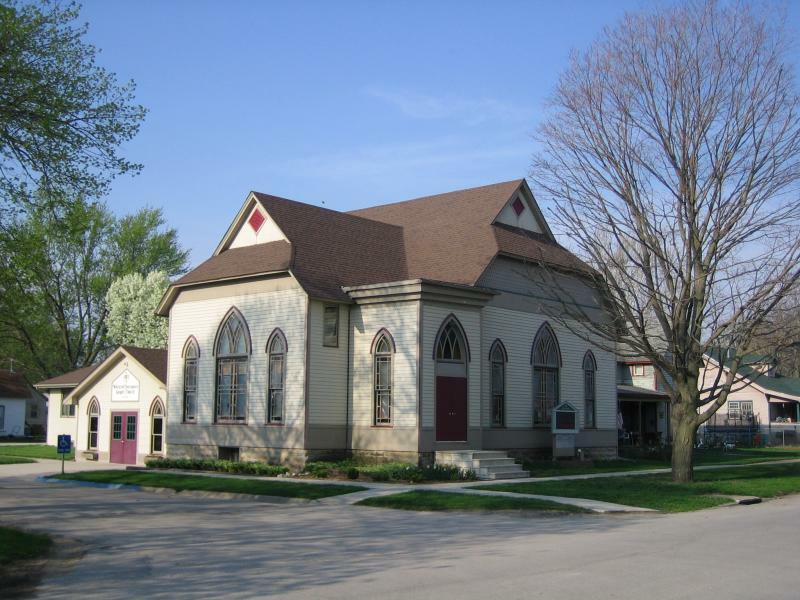 During the early 1920's, the Des Moines Foursquare Church, now known as Evangel Chapel Foursquare Church, held revival services in the Armory Building here in Winterset. From those revival services, the Winterset Foursquare Church was born. In the early years, the church held services in homes and on the square, using upstairs meeting rooms located above various businesses. As the congregation grew, a permanent meeting location was built on East Washington Street, now the site of the Episcopal Church. In the late 1960's the congregation had grown to the point of needing a larger location which would offer more options for fellowship and ministry. It was then that the present location of 224 E. Court Ave. was purchased from the United Presbyterian congregation. In the early 1980's the congregation had experienced more growth, needing more space for fellowships and classrooms for Christian Education. It was then that an addition was built providing a comfortable atmosphere for the church family to gather and grow. The congregation has continued to grow since then. With that growth has come changes in the facility to meet the demands. Today, the congregation continues the life-changing ministry that comes with the preaching and teaching of the Gospel of Jesus Christ. The worship services pulse with vibrant worship, the interaction of a multi-generational family make-up and the building of relationships through love and care for each other. Come join us and experience the warmth of family and the joy of belonging that is so much a part of the Winterset Foursquare Gospel Church.